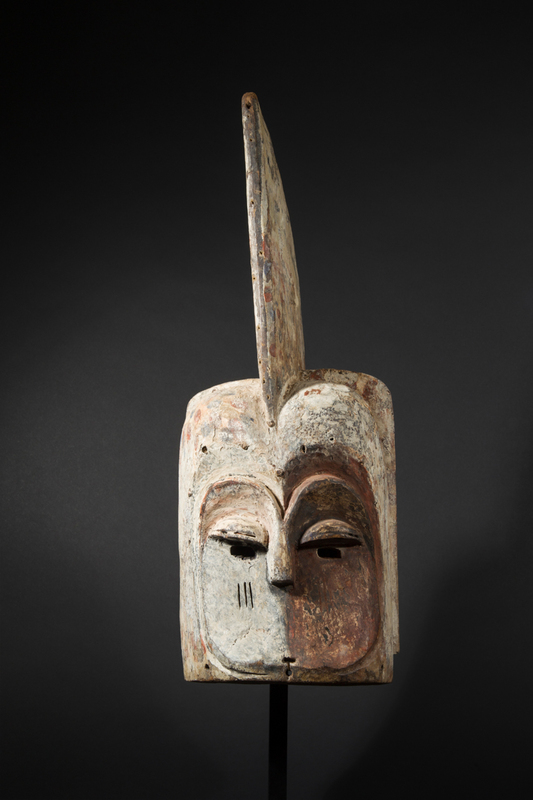 Emboli ("forest spirit") helmet masks of the Kota in Gabon were danced on the occasion of the initiation of young boys. 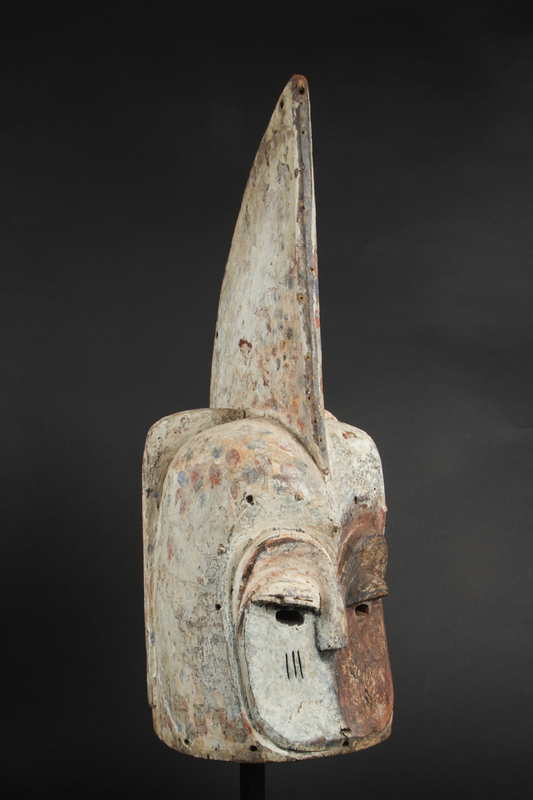 Taking a human form, with some exacerbated features - such as ancestors were imagined in the afterlife - these large masks also evoke the dominant male animals of the equatorial forest, such as the gorilla, represented by its imposing sagittal crest, or the panther with its colored spots. 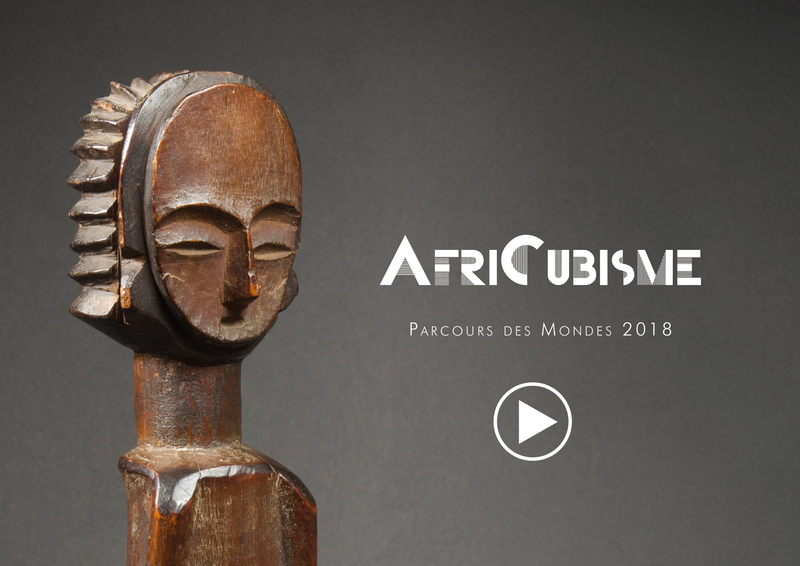 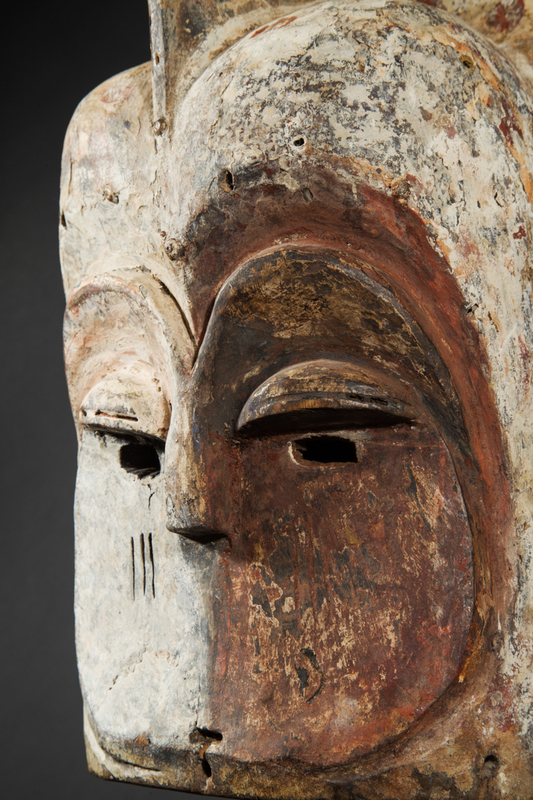 The Barbier Mueller Museum of Geneva owns a very similar example of Emboli mask and suggests that this type of helmet mask symbolizes both the power of nature and the mystery of the invisible spirits. 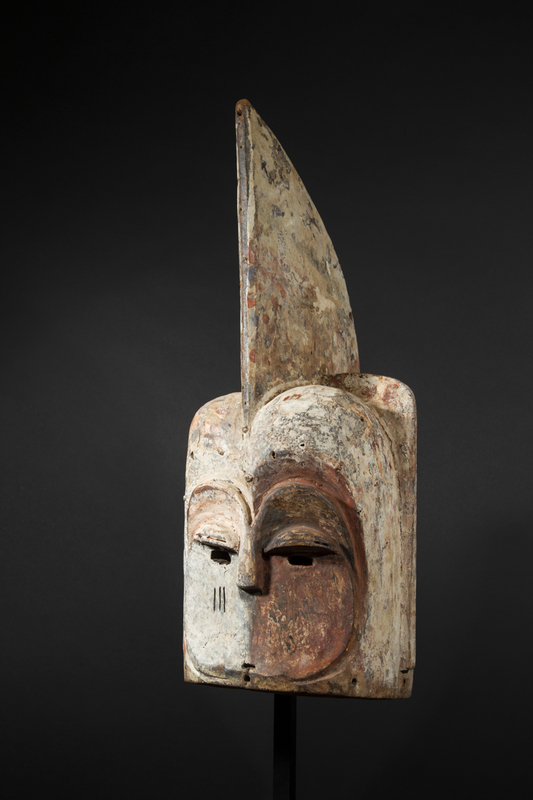 Emboli masks are among the rarest examples of large masks in Gabon. 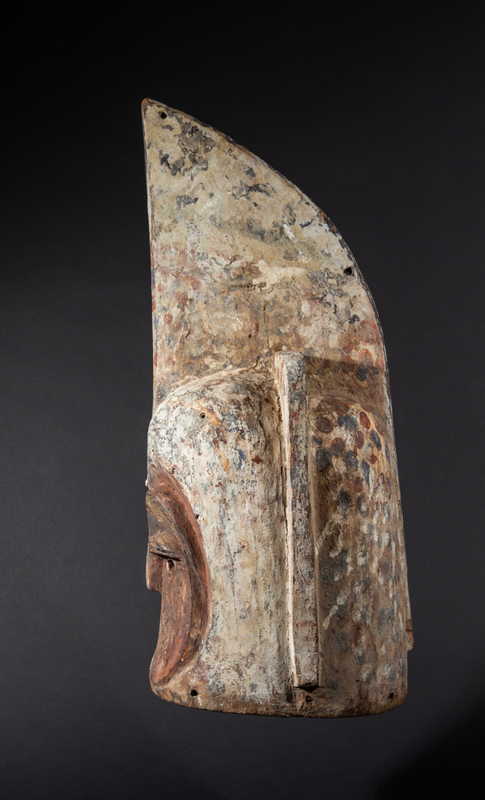 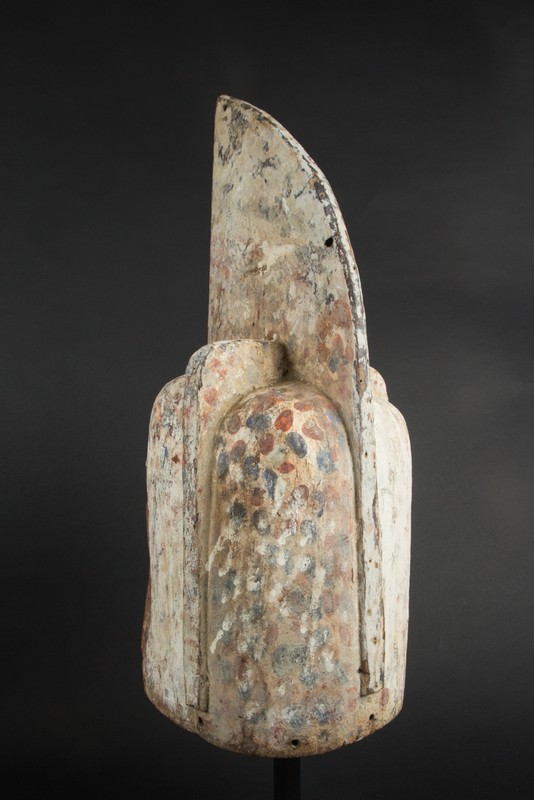 The power of evocation and formal audacity of the mask presented here are truly exceptional.